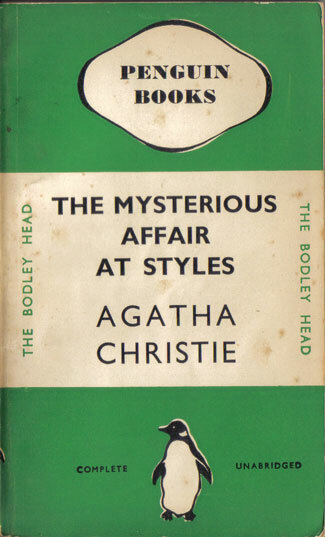 Many of the main features of Penguin Books were more or less directly copied from the Albatross Continental Library (see Hit or Myth), but how do their lists of titles compare? The aim of Albatross was clearly to publish the best of contemporary English literature in continental European editions, launching in competition to Tauchnitz, which had been doing that for almost 100 years. But the market for European editions had been changing. The days when Tauchnitz regularly published new novels more or less simultaneously with, and sometimes before, UK publication, had largely gone. 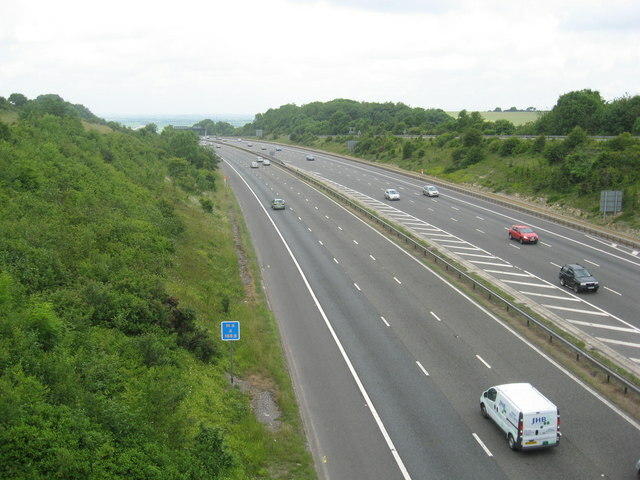 Publishers and literary agents increasingly wanted to see a delay before allowing publication of European paperback editions that risked undercutting UK sales. 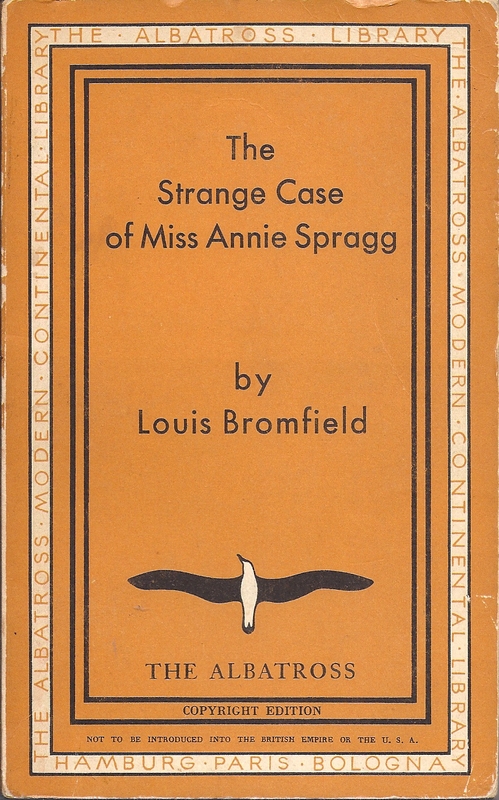 Albatross books were typically published one or two years after their UK first editions. Indeed many of their early titles were older than that as they picked up books they felt had been overlooked by Tauchnitz. By the time Penguin Books launched in 1935 though, Albatross had effectively taken over Tauchnitz and the two series were being jointly managed. Between them they were continuing to publish the best of English literature, and even with the benefit of hindsight, it is hard to fault their choice. Of course they published many books of little lasting literary merit. But it is hard to think of many significant authors or novels of the 1920s and 1930s who are not represented in one or other series. The first 50 Albatross books alone included ‘Brave new world’, ‘Ulysses’ and ‘Dubliners’, ‘To the lighthouse’, ‘The garden party’ and ‘The Maltese falcon’. Can we say the same for Penguin? They were operating under rather different constraints. If publishers were becoming cautious about European paperback editions, they would be even more wary of allowing paperback publication in the UK. So the first ten titles in the Penguin list in 1935 were all books that had already been available in hardback for several years, in most cases 10 years or more. Presumably hardback sales had fallen to a level at which there was little to be lost by allowing paperback publication. The oldest book in the first ten had been first published in 1912, the most recent in 1929. Number 12 in the series, W.H. Hudson’s ‘The purple land’ dated from 1885, and Samuel Butler’s ‘Erewhon’, at number 20, from 1872. To be fair though, Dashiell Hammett’s ‘The thin man’, number 15 and first published in just 1934, was quite a coup for Penguin. 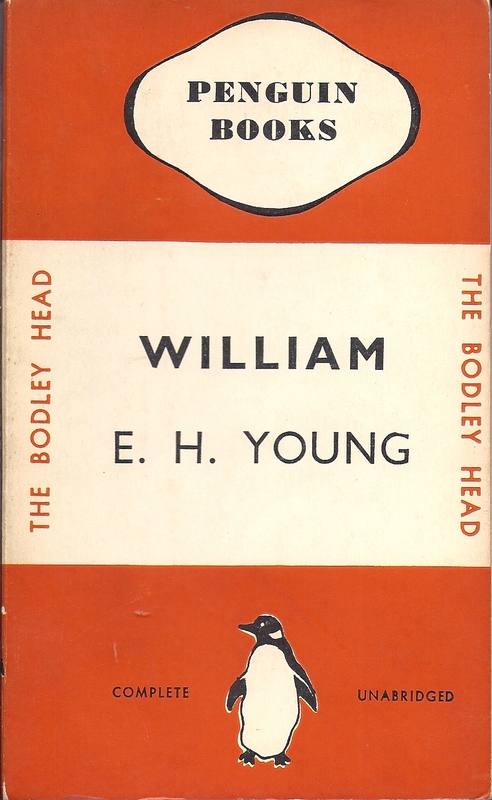 Penguin was not quite a publisher of classic reprints, but in some ways it was closer to that in its early days than it was to being a publisher of the best contemporary literature. Its list included ‘A Farewell to Arms’ (no.2) and ‘A passage to India’ (no. 48), but both were already almost classics by the time Penguin published them, first publication dating back to 1929 and 1924 respectively. 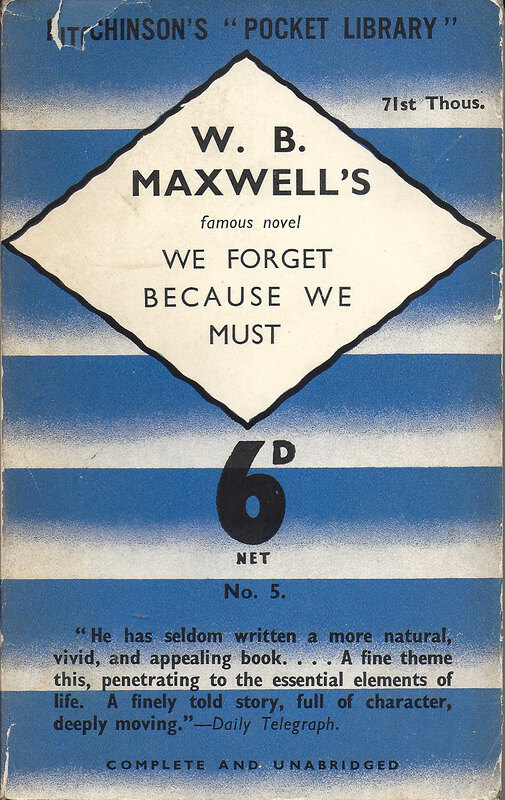 In modern terms it is as if Penguin were launching today with a list whose highlights included ‘The kite runner’ and ‘Captain Corelli’s mandolin’, mixed in with a few classics from the sixties. There is an advantage though in publishing books ten years after they were first issued, in that there has been some time to gauge both the public reaction and the critical reaction. Judged on this basis, that Penguin for the most part had had 10 years to identify the best literature of its period, how does its selection stand up? Part of the answer is obvious, since Penguin was an undoubted commercial success. They were clearly able to choose books that the public wanted to buy, and they were also able to surround themselves with a sort of intellectual aura, that their books were serious, rather than just popular. On the other hand, with 80 years of hindsight, it has to be said that the list of the first 100 titles, published over the first two years, is for the most part uninspiring. In my view it doesn’t stand comparison with the Albatross list, which was chosen with much less hindsight than Penguin had. This is a dreadful play, with a complicated, ludicrous plot, clunky dialogue, and language that is not so much old-fashioned as plain unattractive. The defence that it’s a 400 year-old play and has to be judged against the standards of its time just doesn’t wash, when its time was Shakespeare’s time and this is a play being put on at Stratford by the RSC. Shakespeare used a few complicated and ludicrous plots in his time, but he never used language as artlessly as this. 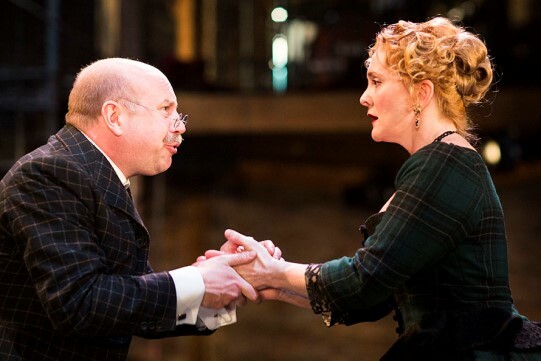 Is this play (by Dekker and Middleton) really worthy of the RSC’s attention? They make a marvellous job of it, as the RSC almost always do, and it’s a wonderful romp. The set is simple, but very effective, the costumes updated to the late Victorian or Edwardian era are great fun, the music and dance (updated to late Elizabethan era!) even more so. 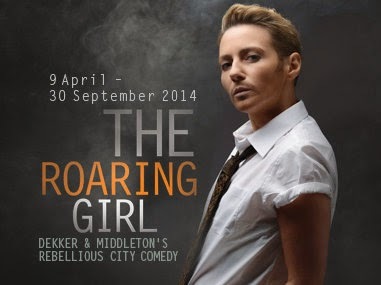 Some of the acting and the comic timing is superb and in general the play seemed to me very well directed. But you do feel at times that the cast is achieving everything it is, despite having to fight against the limitations of the play itself. Speeches that are difficult to follow seem to be delivered in exaggerated comic style, or accompanied by action on other parts of the stage, all to distract attention from the actual words. At other times the cast resort to mocking the words directly, highlighting poor rhymes or delivering lines with a knowing glance at the audience. Lisa Dillon gives a very powerful performance as Moll Cutpurse. She shines in a range of styles and situations, from commanding the stage on her own in the opening prologue, to playing a slapstick ensemble as a French music teacher hiding Mary behind her double bass, not to mention rapping, singing, dancing and playing guitar rock goddess-style along the way. It has to be said that she doesn’t quite carry off the ultimate test of playing a man on stage – her swinging from a chandelier is not so much devil-may-care, as goodness-will-this-thing-bear-my-weight. She is masterful though in the scene where she humiliates Laxton, who dares to think he can seduce her. Perhaps even better was Lizzie Hopley’s beautifully judged turn as a scheming wife attempting to hide from her husband the evidence of a letter, while all the while manipulating him. Timothy Speyer was the perfect foil as her husband Gallipot, and Geoffrey Freshwater stole several other scenes as Ralph Trapdoor. Overall it was a very enjoyable evening – but just think what they could have done with a decent play. 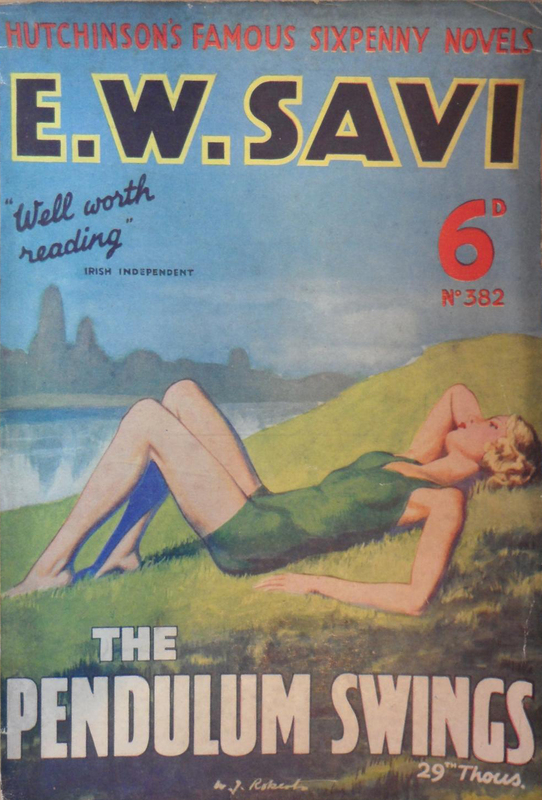 Whether you believe or not the story about the inspiration for Penguin Books (see Hit or Myth), there is no denying that the launch of Penguins in July 1935 was a key moment in the history of paperbacks. They were by no means the first paperbacks of course – there were lots already on sale when Penguins started – but paperbacks were a down-market product, seen as relatively trashy and disposable. 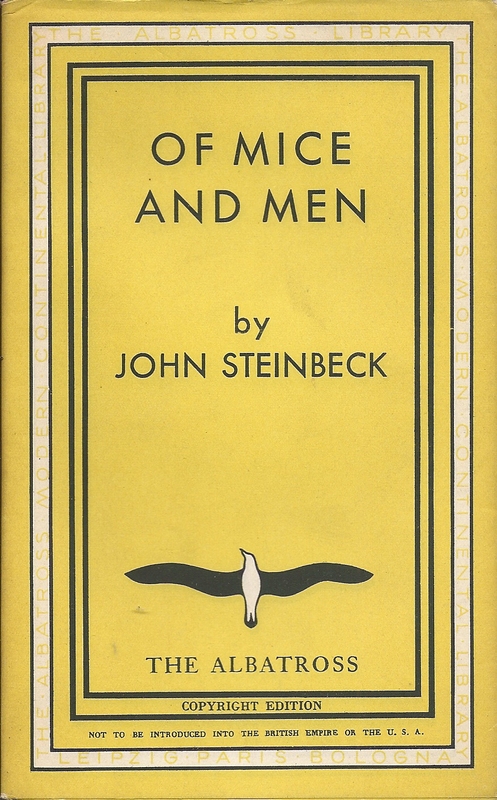 Penguin’s vision was much more up-market – making available in paperback form, books that had previously only been available, at several times the price, in hardback. 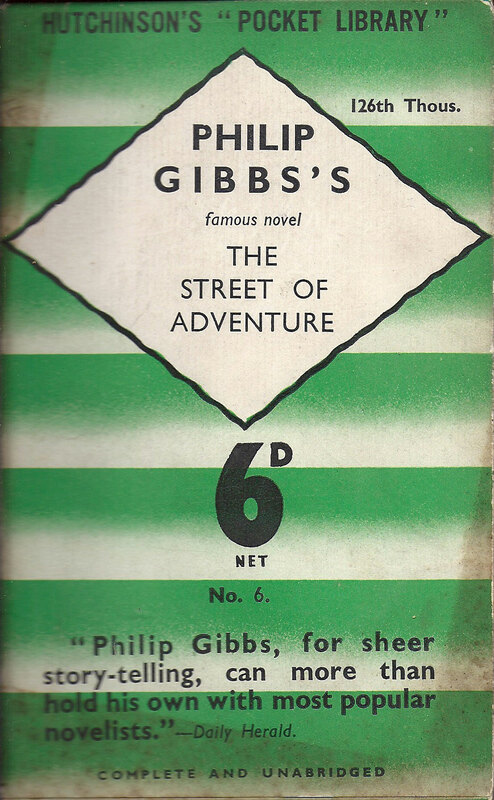 Price was a major part of their attractiveness, but the innovations they copied from Albatross – the size of the books, the colour-coded covers, and the dustwrappers, were also key, and effectively defined this sector of the market over the following few years. The lack of any cover illustrations was also crucial in distinguishing them from what went before and in establishing their up-market image. For years afterwards, Allen Lane had an aversion to illustrated covers, famously describing them as ‘bosoms and bottoms’. In the long run, he was on the wrong side of history, but in the short term, it was a critical issue. Penguins were defined as much by what they were not, as by what they were. It was fairly quickly clear that they were a success, with some of the books reprinted within a month, and at that point you can almost imagine the commotion in the marketing department of every major publisher in London. 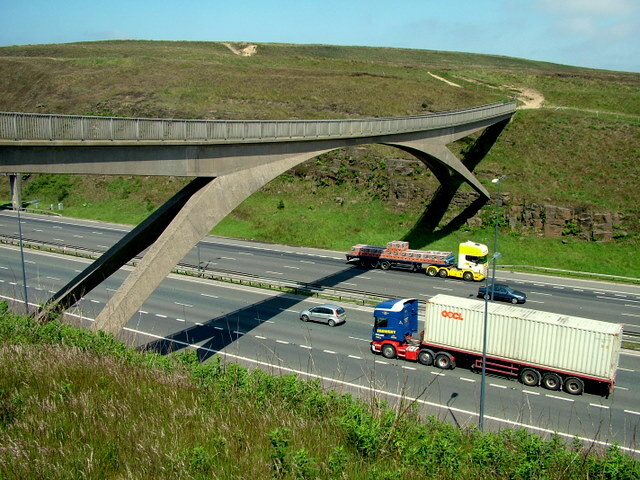 How should they respond to this potentially disruptive change in the market? 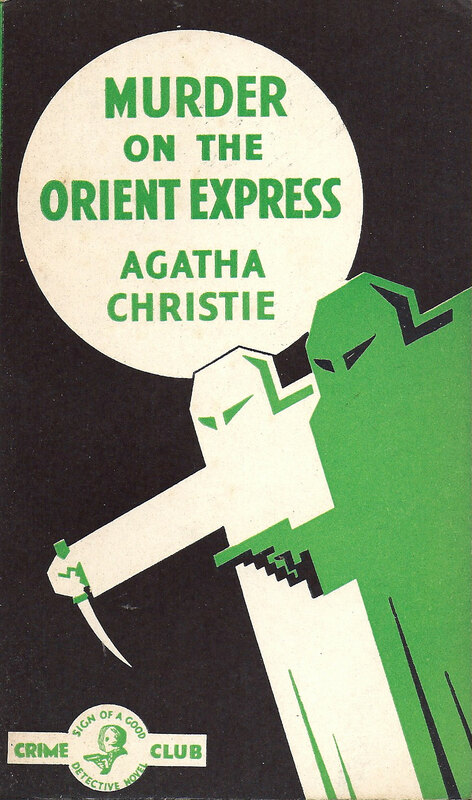 As a reprint publisher, backed by a relatively small publisher of original hardbacks, Penguin presumably needed the co-operation of other publishers to survive, or at least to flourish. 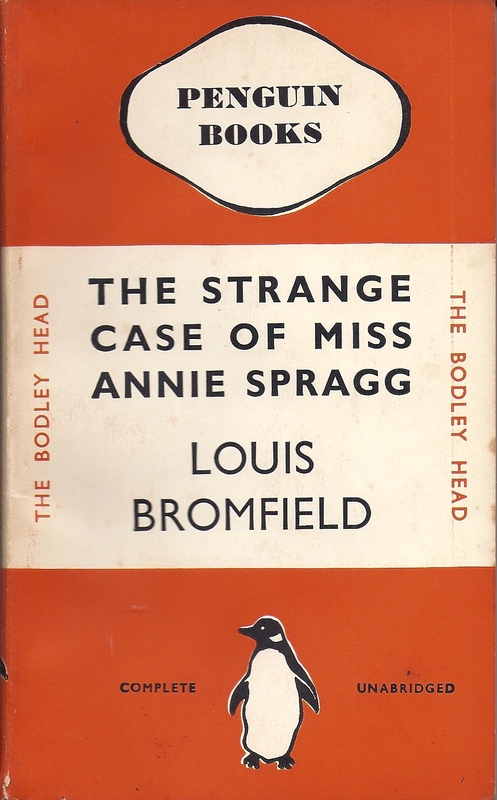 Several of the first set of books had come from Jonathan Cape. Some rivals no doubt decided not to co-operate in selling the paperback rights to any of their books, and hoped to strangle the infant at its birth. Others saw the way the wind was blowing and decided that they needed to compete in this new market. 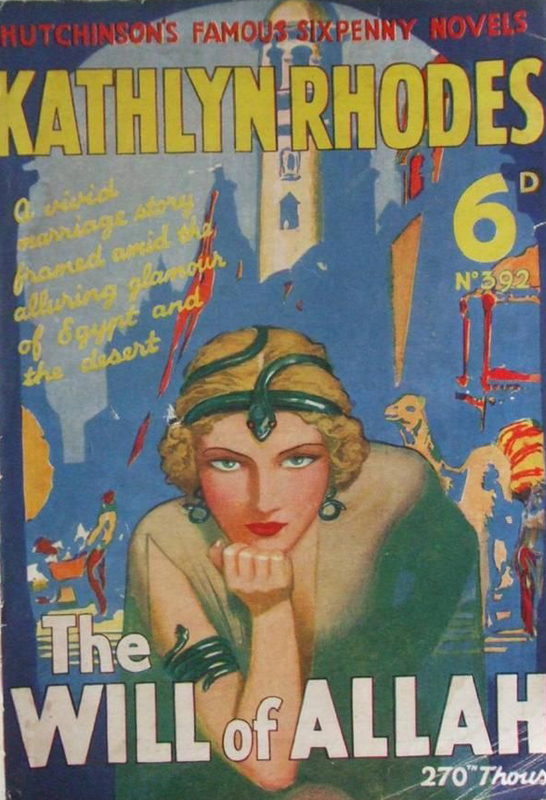 The publisher most firmly in this camp seems to have been Hutchinson, already an established producer of paperbacks. 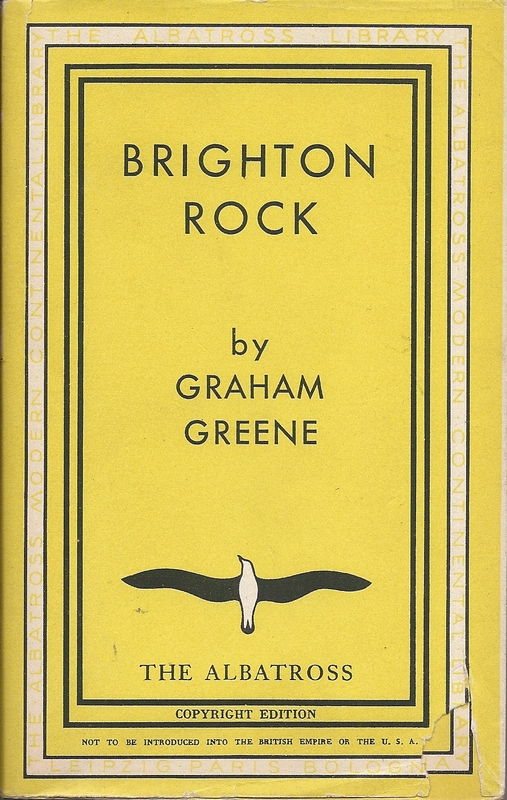 Within 3 months of the launch of Penguins they responded with the launch of Hutchinson’s Pocket Library, the first volumes appearing in October 1935. 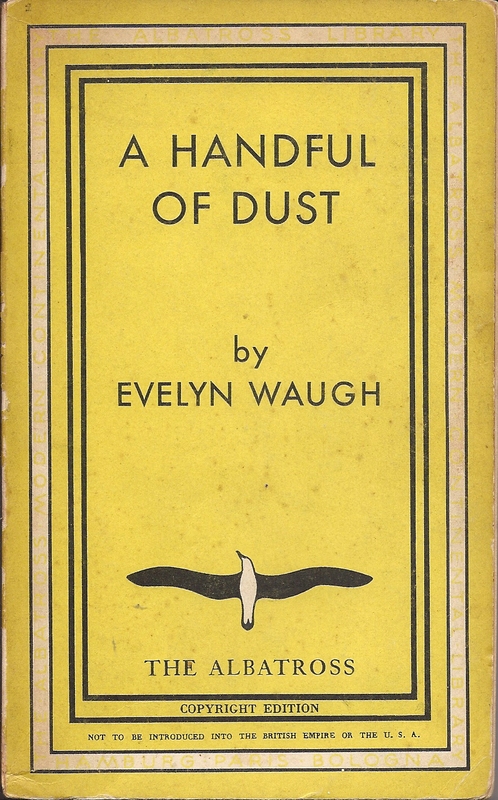 The format of these was very similar to Penguins – the same size, covers in similarly bright colours, and dustwrappers in the same design as the books.